Born in Norfolk, England in 1552, and educated at Cambridge University, Edward Coke was called to the bar in 1578. He quickly rose to prominence as a barrister being on the record in cases known even to this day, such as the Cromwell libel cases and the 1581 Shelley’s Case. His personal life was almost as remarkable as his life in the law (see The Secret Life of Edward Coke). "Let me not be ill thought of if I be rude in what I say, for it is my fault I cannot speak as mildly as some. But my manner is, that which I speak, I speak sharply and somewhat roundly." In his quest for the AG position, he first crossed swords with his famous nemesis, Francis Bacon, who also sought the appointment. As Attorney General, Edward Coke prosecuted the great explorer Walter Raleigh for treason resulting in Raleigh’s imprisonment from 1603 to 1616 and beheading in 1618. In 1606, Coke was appointed Chief Justice of the Court of Common Pleas in 1606 and began collecting and commenting on legal cases. This series eventually numbered 13 volumes and became known as Coke’s Reports. His years on the bench were the venue for a difficult challenge to the new King James I (1566-1625; reign as King of England began in 1603). Coke, with most of his judges behind him, politely advised the proud Scottish king that he, too, had to comply with the common law and that the "king in his own person cannot adjudge any case" but instead had to defer to the justice of the courts. "There were in England two great streams of law, pointing toward two philosophies of government. By inclination or by rearing, a man turned to one or the other. First, the common law, which bore the Gothic signature, claiming as its inheritance trial by jury and the freedoms of Anglo-Saxon parliaments.... The Tudor philosophy, on the other hand, magnified the sovereign, relied on a strong central authority and believed in it." "Quod Rex non debet esse sub homine, sed sub Deo et lege - the king shall be under no other man’s authority but that of God and the law." "Rex est lex loquens - the king is the law speaking." In 1613, James I followed the advice of Bacon and tried to buy Coke by promoting him to the position of Chief Justice of the Court of King’s Bench and making him a member of the king’s senior political committee, the Privy Council. But before long, in Peachman’s case (1615) and again in the Case of Commendams (1616), Coke objected to de rege inconsulto. the monarch's right to consult with individual judges before a particular case was heard, to ensure that an opinion in any particular case was most favourable to the monarchy, whatever else might be the interests of the common law. In 1616, he asked James I to cut the wings of the fledgling courts of equity, chancery, who had begun to re-hear cases which had already been disposed of by the common law courts, and were not shy of rendering contrary decisions. But James I was livid over Coke's defiance of de rege inconsulto and he sided with the Court of Chancery. Henceforth, lawyers would know that equity takes precedence over the common law. The coup de grace came in 1616 when Coke ignored a direct Royal order to pass judgment in a case until the king’s pleasure. The other judges cowered and submitted but not Coke. He would only state that he would act honestly and justly. In June of 1616, James I entertained a charge against the 65-year old Coke, trumped up by Bacon, and he seized the chance to dismiss Coke as judge and from the Privy Council. A lesser man may have disappeared into the sunset, happy to have escaped the rack. But not Edward Coke. In spite of his achievements to date, he was just getting started. Always adept, if not eccentric at politics, he married-off his 14-year old daughter to John Villiers, who was close to the monarch. Coke’s wife objected and tried to hide the child but Coke would have none of it. As for Coke if not for his infant daughter, the strategy worked as he gradually returned to the good graces of the king. By 1617, he was back in the Privy Council as well as receiving an appointment to the Star Chamber. As the Star Chamber was not recognized as a traditional court, in spite of its tremendous powers, Coke sought and gained re-election to the House of Commons in 1920. 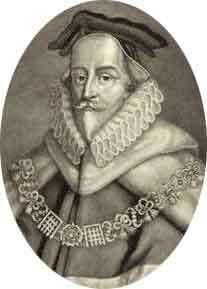 Then, finally, in 1621, he had a chance at revenge at Francis Bacon, then Lord Chancellor, and laid charges of bribery. The transgressions were light but Bacon was a man of unimpeachable honour and as Coke anticipated, his nemesis resigned. In Parliament, the 69-year old former judge was outspoken on the rights of Parliament which brought him a six-month stay in prison. The First Part of the Institutes of the Laws of England; or, A Commentary Upon Littleton, Not the Name of the Author Only, But of the Law Itself (to be later well known to law students as Coke on Littleton or just Commentaries). The Fourth Part of the Institutes of the Laws of England, Concerning the Jurisdiction of Courts. Until Blackstone’s Commentaries were published a century and a half later, Coke’s Institutes, especially the very popular First Part, were the then-most current authority of law in England and as such, disproportionately influenced the laws of the fledgling British North American colonies. Even after Blackstone, some jurists, such as Thomas Jefferson, preferred Coke. "The fact is, Lord Coke had no authority for what he states, but I am afraid we should get rid of a great deal of what is considered law ... if what Lord Coke says without authority is not law. He was one of the most eminent lawyers that ever presided as a judge in any court of justice." "... had it not been for Sir Edward Coke's Reports ... yet they contain infinite good decisions and rulings of cases, the law by this time had been almost like a ship without ballast." When Coke died in 1634, most of his private papers, such as his will, were seized and never recovered. "The greatest lawyer, Sir Edward Coke." Bowen, C., Francis Bacon: The Temper of a Man (Boston: Little, Brown and Company, 1963). Bowen, Catherine Drinker, The Lion and the Throne: The Life and Times of Sir Edward Coke (Boston: Little, Brown and Company, 1957).